Soda bread is a staple in Ireland, where bread only usually comes in two forms: a soft white “batch” bread and a hearty grainy soda bread. 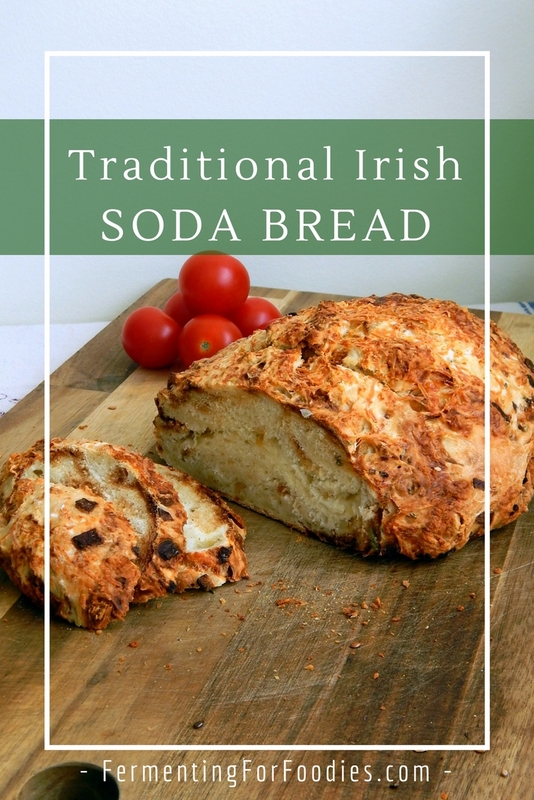 Personally, I love a fresh slice of traditional Irish soda bread. It is delicious fresh beside a bowl of soup, toasted with butter or sliced with cheese. 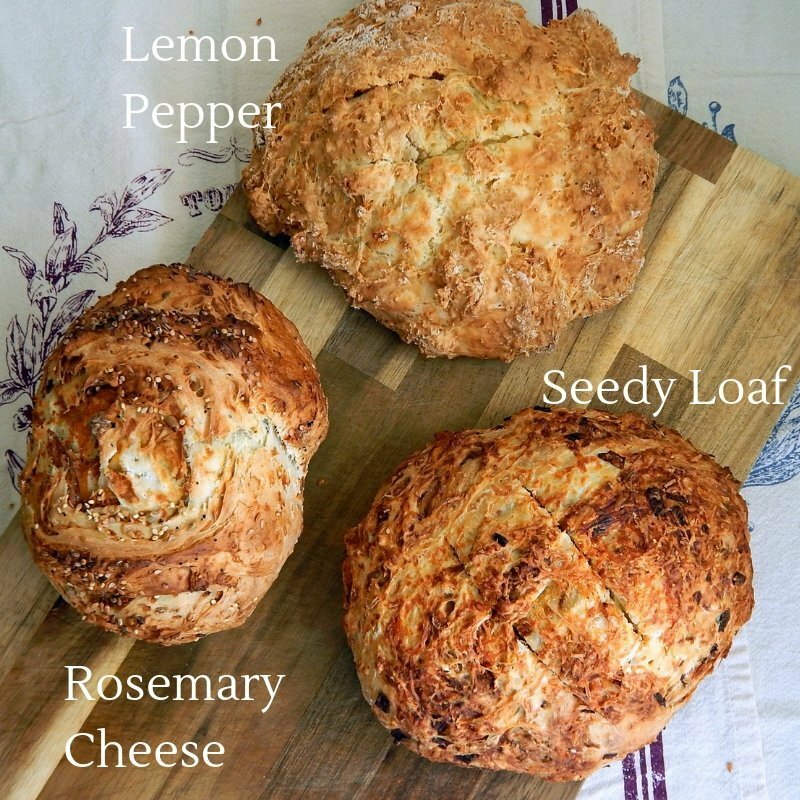 Best of all, soda bread is so quick and easy to make that you will be inspired to serve homemade baked bread more often! Combine buttermilk and flour in a glass container, and leave to hydrate for 5 minute or up to 24 hours. See notes for more information on prefermenting the flour. Sprinkle the dough with the salt and soda then mix well into the bread dough. Depending on how long you presoaked your flour it may have become glutenous, so try to combine the ingredients evenly by folding and cutting them into the dough with your fingers. Add in any additional flavours, then place on your baking pan. Slice a cross into the top of the loaf about 2 cm deep. If you want to add a topping, brush the top of the loaf with beaten egg, milk, or water then sprinkle on a topping. Bake at 400F (200C) for 30-40 min (until a toothpick comes out clean). 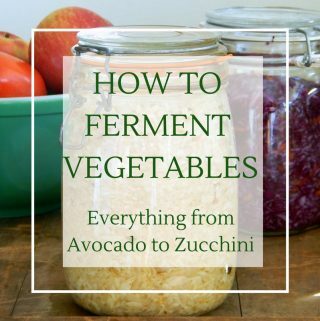 Unlike sourdough bread, fermentation is optional with soda bread. 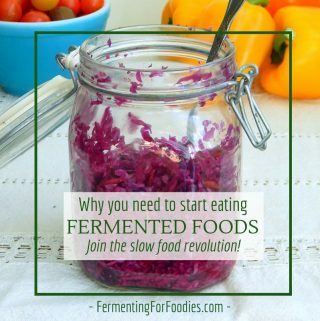 However, I always recommend fermentation to develop the gluten structure and improve digestibility. If you do preferment your flour, you will need to use the pincer method to add in the salt and baking soda. Though this recipe calls for buttermilk, you could use milk kefir, sour cream or yogurt. You can use any type of flour you like, from rye to straight white. I typically use a traditional whole wheat mixed with a small amount of coarse wheat for texture. If you want to make a gluten free soda bread follow this recipe instead.
. However, you could also use a loaf pan for a more sandwich-style loaf of bread. I like adding flavours to my loaves of soda bread. Toasted cinnamon raisin soda bread is absolutely amazing. And the rosemary cheese loaf is perfect with soup. However, the seedy loaf is my favourite. I love the crunch of toasted seeds. A seedy loaf: Add half cup of mixed pumpkin, poppy and sunflower seeds in the batter, then top the loaf with a sprinkling of sesame, flax, millet and poppy seeds. Cinnamon Raisin loaf: Add in 1/4 cup of sugar, 3/4 cup of raisins or currents and 1 tbsp of cinnamon for a sweet tea-time loaf. 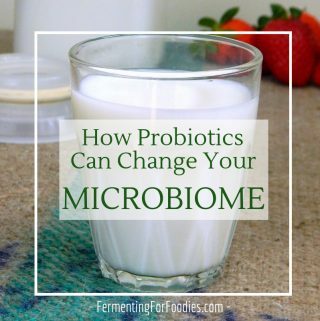 I used kefir instead of buttermilk. Otherwise, just as written. I did toss a handful of raw sunflower seeds into the dough. WOW this came out so perfect. Haven’t had such nice soda bread since I was in Wexford. 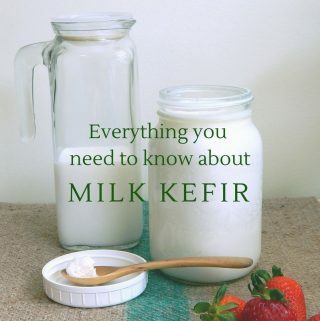 I always use kefir too. 🙂 But buttermilk is traditional. Glad you liked it! Learned the recipe while living in Kildare. So it’s authentic!